Baby B is officially Baby V! Meet Vaun Vincent. It’s hard to believe he’s finally here … but we couldn’t be happier!!! 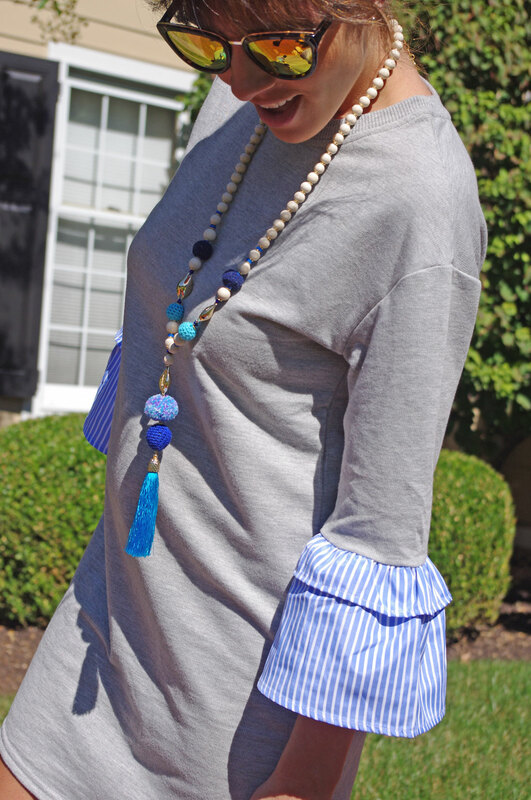 Being a brand new Mom (3 weeks in), I’ve appropriately titled my post because I’m officially digging all easy dressing stylish options. 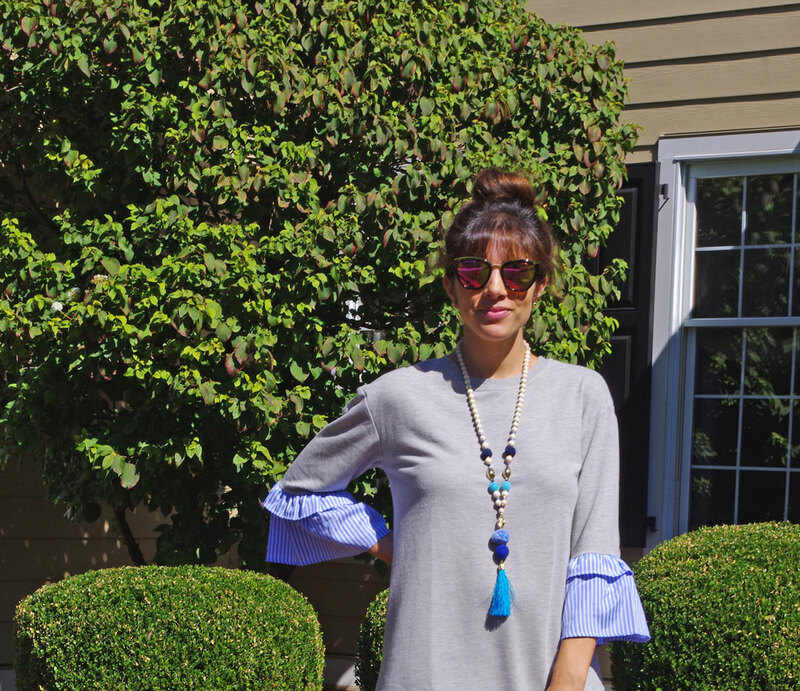 A sweatshirt dress is perfect for early fall and I love the addition of something femme like a ruffle detail or statement sleeve (or both). I kept the look casual (and functional) by pairing with my favorite sneaks. Vaun is following suit with his own athleisure look, a cool grey jumpsuit. New motto: make it simple but significant!